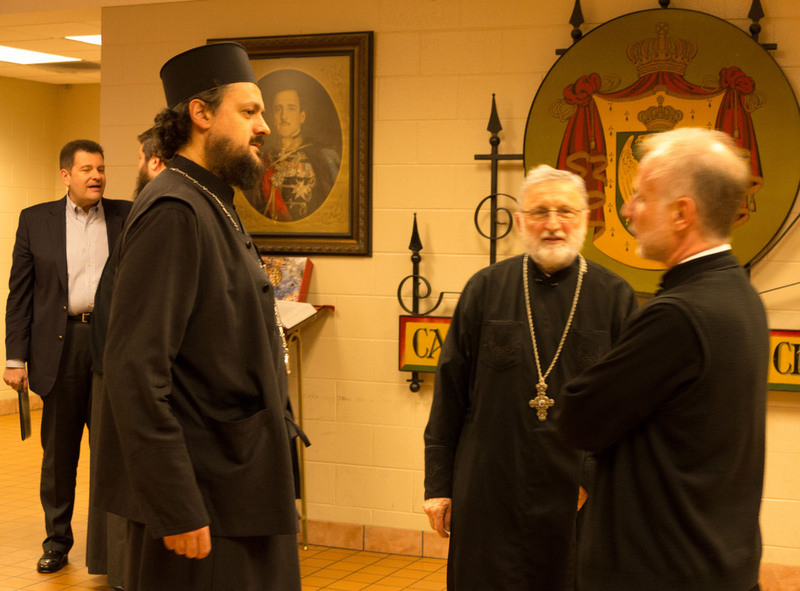 Chicago, IL - The Central Church Council of the Serbian Orthodox Church in North and South America held its annual meeting on Friday, December 11, 2015 at Holy Resurrection Serbian Orthodox Cathedral in Chicago and continued the following day with the Holy Hierarchical Divine Liturgy at St. Sava Monastery in Libertyville, on the feast of St. Mardarije of Libertyville and America and Canada. 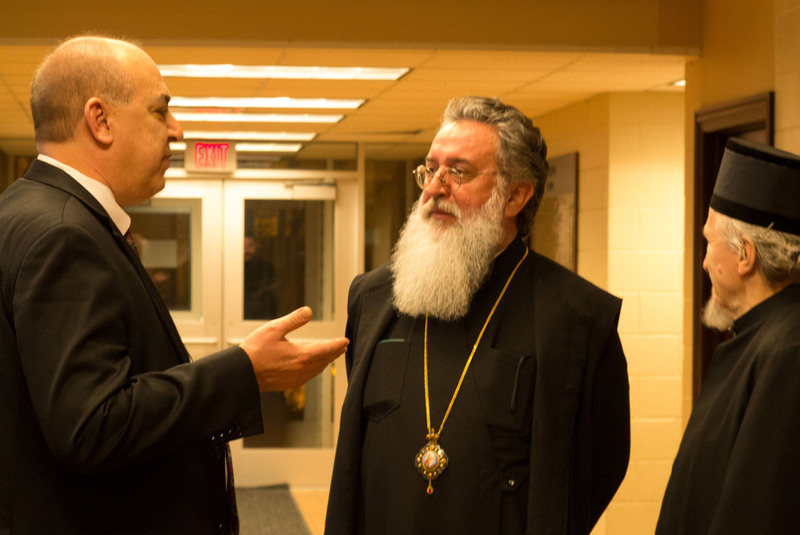 This was the first Divine Liturgy in which the first Bishop of America and Canada, Mardarije, was commemorated after being added to the list of Saints at the regular meeting of the Holy Assembly of Bishops held in May. 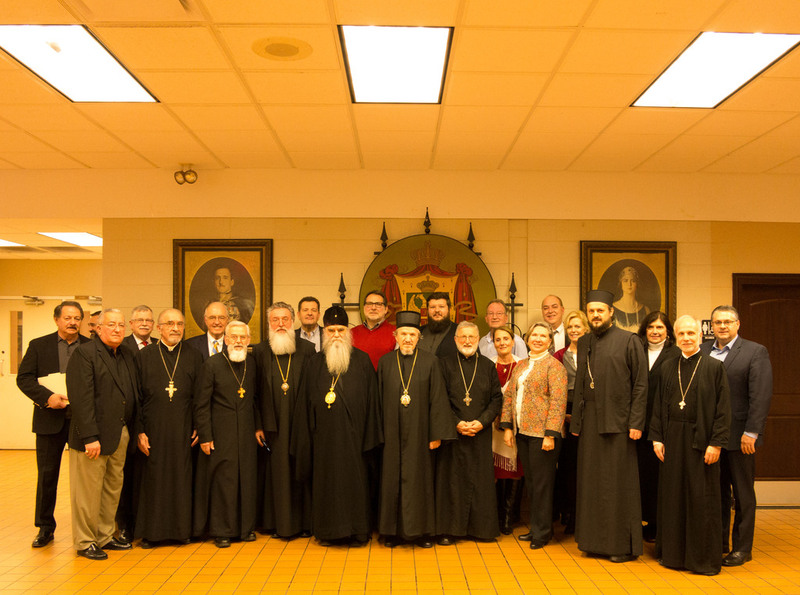 Participating in the meeting of the Central Council were all the hierarchs of the Serbian Orthodox Church in North and South America, led by His Eminence Metropolitan Amphilohije of Montenegro and the Coastlands, His Grace Bishop Longin of New Gracanica and Midwestern America, His Grace Bishop Mitrophan of Eastern America and His Grace Bishop Maxim of Western America. Representing the Canadian Diocese were V. Rev. Stavrophor Vasilije Tomic, the Episcopal Deputy for the diocesan administrator His Holiness Serbian Patriarch Irinej and Fr. Jovan Marjanac, parish priest in Sudbury, Canada. 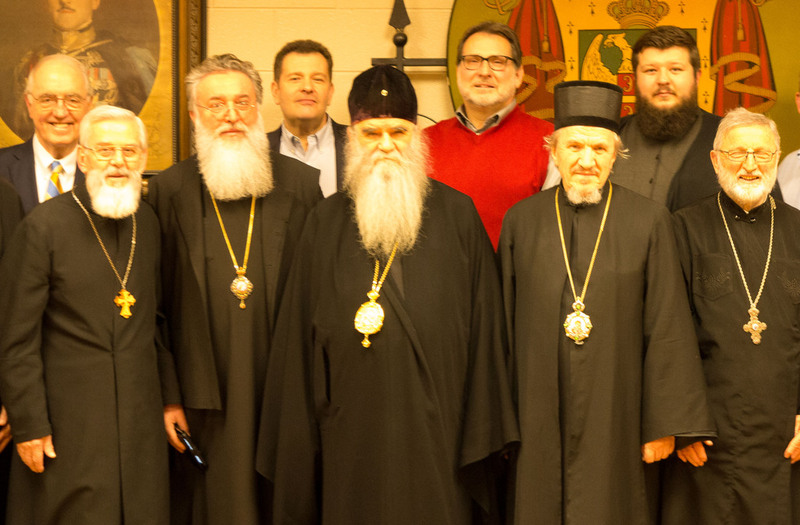 The Episcopal Council held their meeting on the previous day, December 10, in which all hierarchs took part with the exception of the administrator for the Diocese of Canada, His Holiness Patriarch Irinej. The president of the Episcopal Council His Grace Bishop Longin opened the meeting with a prayer and with the blessing of His Eminence Metropolitan Amphilohije the meeting began at 10:30AM. 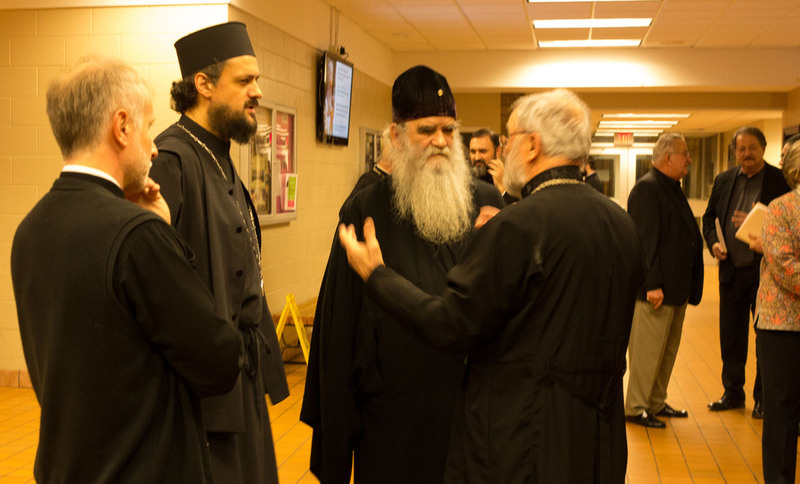 His Grace welcomed all the hierarchs, clergy and lay members of the council. 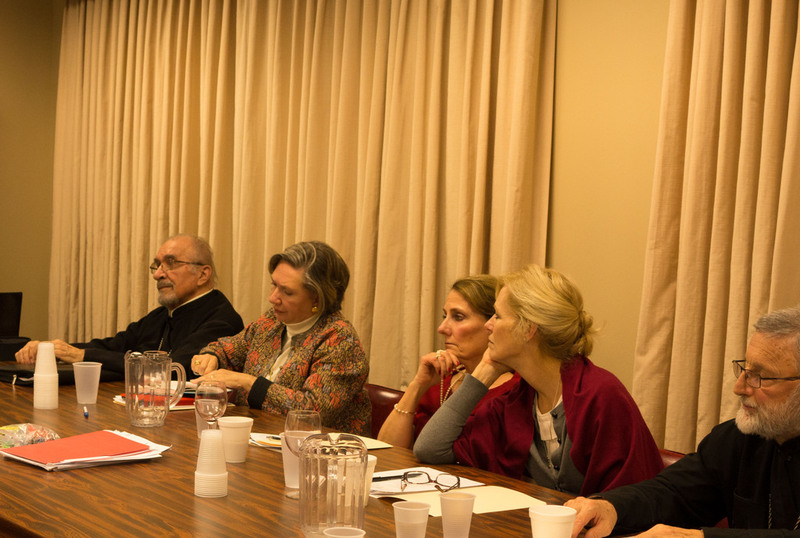 He expressed his joy at seeing representatives from the Diocese of Canada led by the Episcopal Deputy V. Rev. Stavrophor Vasilije Tomic. 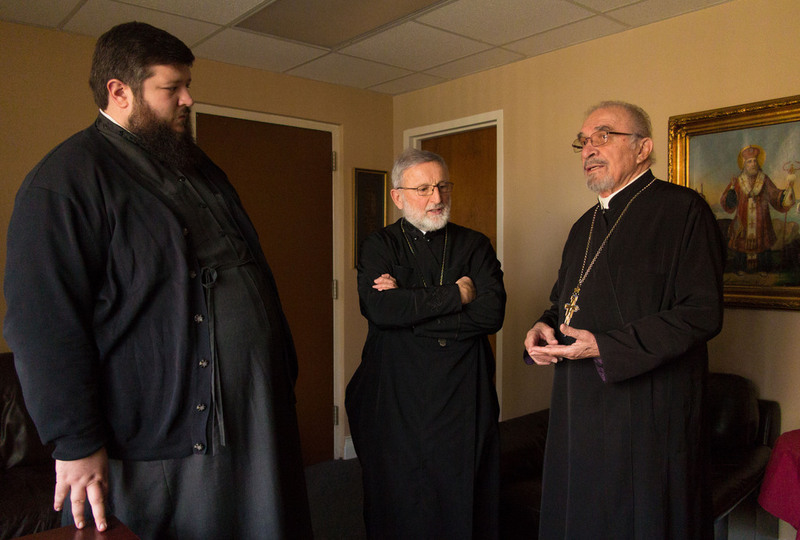 He spoke of the significance of our church unity which is expressed in this manner, through our meeting together, whether that be at the highest church level or participation at joint Slava and other celebrations. He praised Metropolitan Amphilohije for his selfless sacrifice that besides his obligations in his own metropolitinate he dedicates his time and effort to establish the new Diocese of Buenos Aires and South America. His Grace then gave the floor to V. Rev. Nikola Ceko to lead the meeting. With the acceptance of the agenda minutes from the last meeting were read and accepted. The treasurer Brian Gerich reported that everything was in order. All dioceses fulfilled their financial obligations. 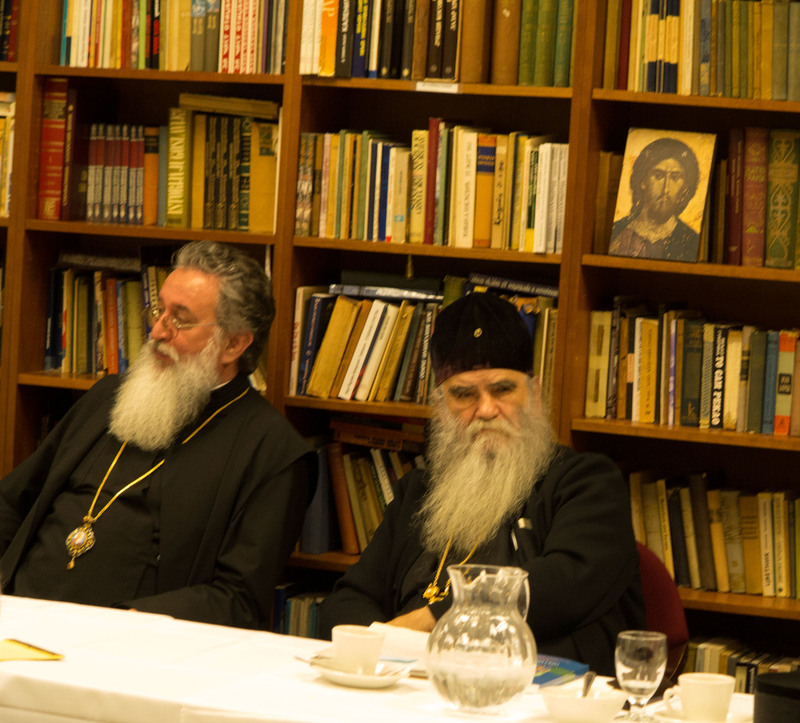 His Eminence Metropolitan Amphilohije explained the situation in the Diocese of Buenos Aires and South America. Much has already been done to stabilize church life in a number of parishes. Because of the vastness of the region it is difficult to establish a cohesion among our parishes, as they are scattered in different countries of South America. His Eminence has been assisting and supporting the clergy through his metropolitinate. He asked, if it is at all possible to assist this young Diocese, and God will grant that it be stabilized. 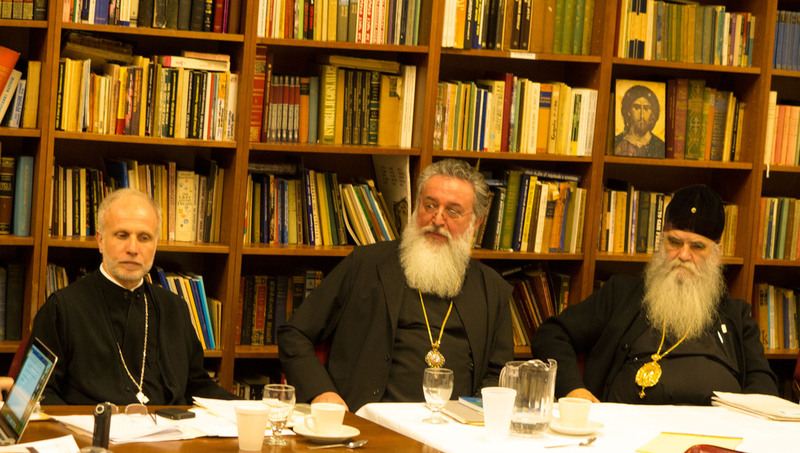 He announced that he and members of the Episcopal Council will recommend the current archimandrite in Buenos Aires be elected bishop at the next Assembly of Bishops of the Serbian Orthodox Church, so that this diocese receive a bishop. The report and address of His Eminence was enthusiastically welcomed by all in attendance. Reporting on the state in the Diocese of Canada were Fr. Jovan Marjanac and V. Rev. Vasilije Tomic, the Episcopal Deputy. 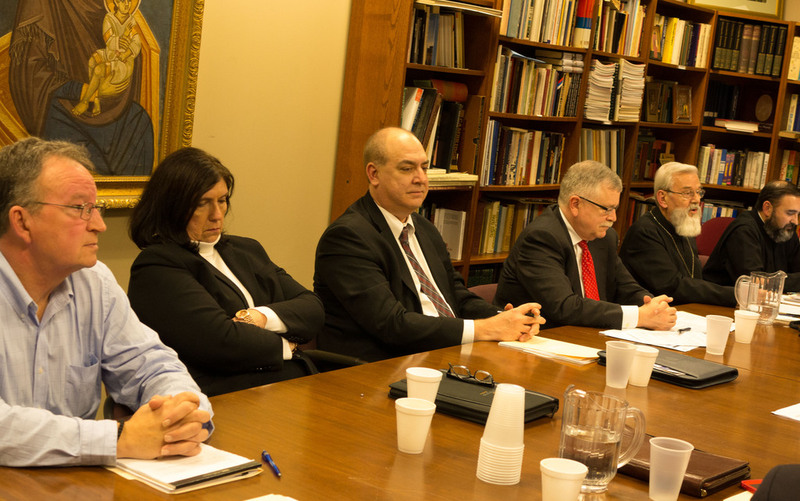 Members of the council listened attentively to the report and offered their wishes that the situation in the Diocese of Canada improve. V. Rev. Malich presented his report on the Pension Fund. There are 90 priests in the pension fund, of which two are inactive. Church school congregation are obligated to pay premiums for their priest, which is a decision of the Church Sabor. It was also decided that the minimum clergy salary be $2,500, and that church school congregation are required to pay life insurance for their priest. The report on clergy health insurance was submitted by V. Rev. Milovan Katanic. Only 14 priests are in the Orthodox Health Plan while the remainder, due to high premiums, are insured through different insurance companies. 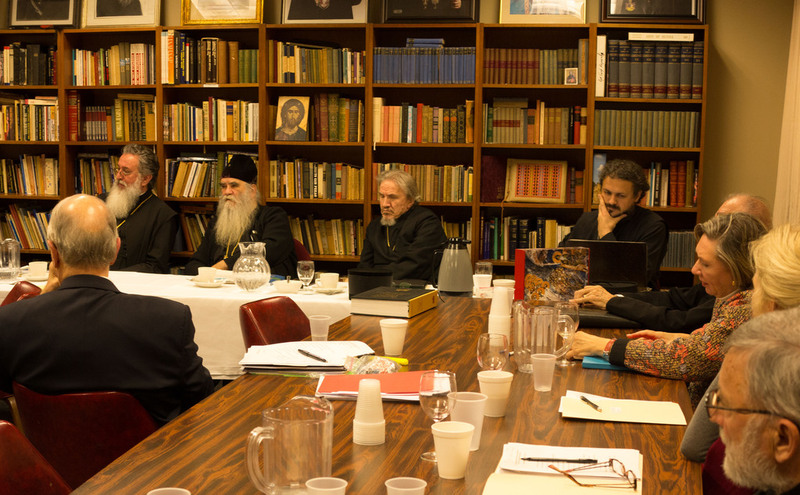 The editorial board of The Path of Orthodoxy submitted its written report. “The Path of Orthodoxy” is published four times a year in a magazine format. Expenses are significantly lowered, since the publication used to be published monthly. 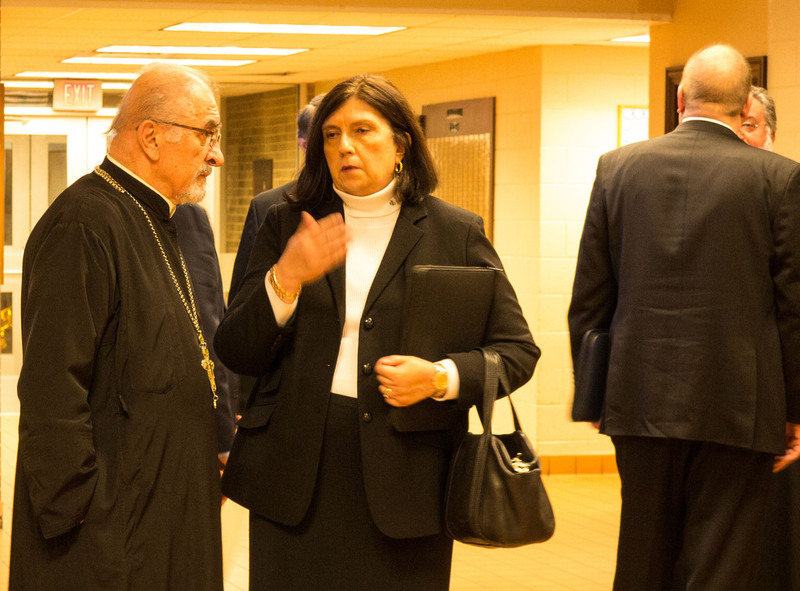 His Grace Bishop Mitrophan, dean of the St. Sava School of Theology in Libertyville, submitted his report of the work of the school and the financial situation. The school is functioning regularly in full capacity. Since September 2015 the school has been temporarily transferred to New Gracanica Monastery. In the meantime, the building in Libertyville will be renovated. The church council administers over the Zivadinovic Trust Fund out of which fund the central treasury is paid $10,000. V. Rev. Nikola Ceko, director of the Standing Committees, submitted his report of the work of the committees in the previous year. Fr. Nikola was recognized for his work with the committees which performs the missions of our Church on this continent. The 2016 was presented and approved. 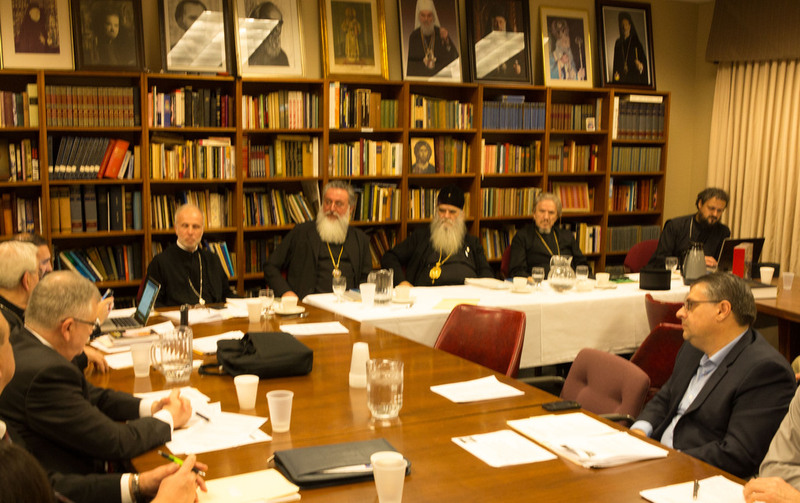 Thus, the meeting of the Central Council ended on a positive note, with the hopes that greater effort be given for spiritual growth in our holy Orthodox Faith.